FBI Director James Comey’s definition of a “reasonable prosecutor” differs from that of a lot of people, former Assistant U.S. Attorney Andrew McCarthy being one of them. 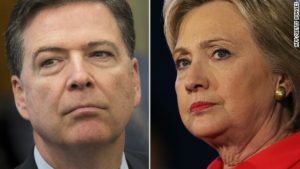 In recommending against prosecuting Hillary Clinton, Comey on July 5 said no “reasonable prosecutor” would bring charges as there was “no intent” to harm the United States. Writing for National Review, McCarthy said: “I was especially unpersuaded by Director Comey’s claim that no reasonable prosecutor would bring a case based on the evidence uncovered by the FBI. To my mind, a reasonable prosecutor would ask: Why did Congress criminalize the mishandling of classified information through gross negligence?